Since my original food buddies are nowhere to be found right now (busy with this thing called life), I had to designate my two college friends to be my new (not so super secret anymore) food buddies. They have no choice but to agree, really. As per my previous post, they are on this quest to shed pounds but fortunately, since they were pork-deprived for so long, they agreed to come with me here and gave an excuse to call that day their cheat day. Hahaha. 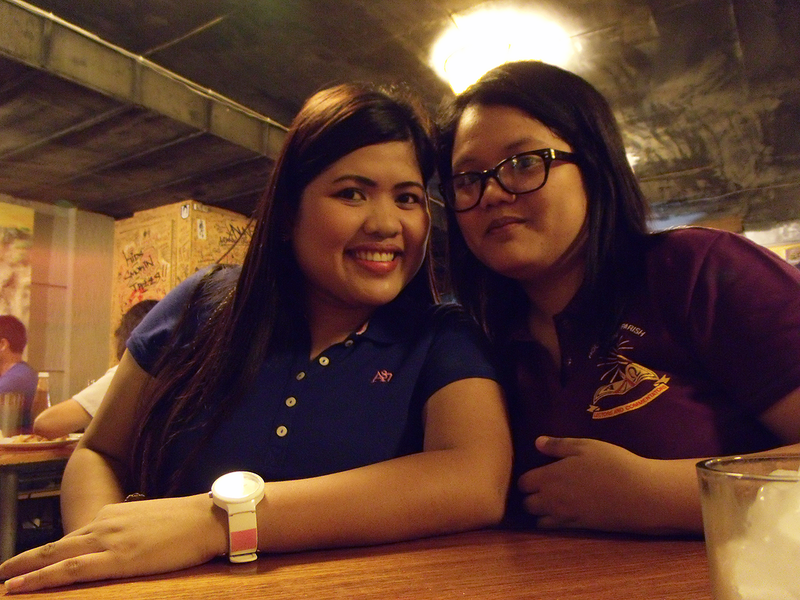 Dayan and Tzie: All smiles! 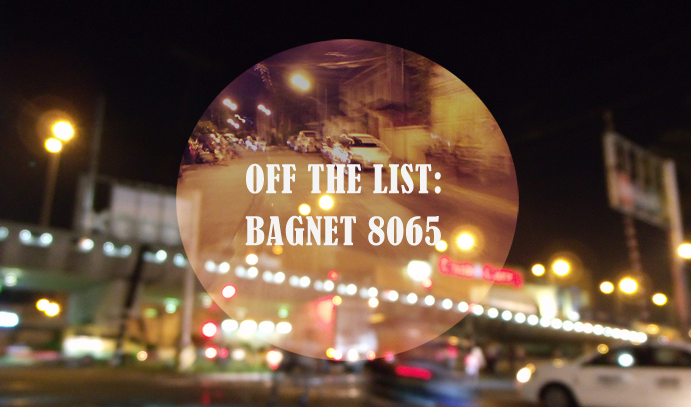 It was quite a surprise that Bagnet 8065 is just one tricycle ride away from our condo! It was like destiny! Haha. 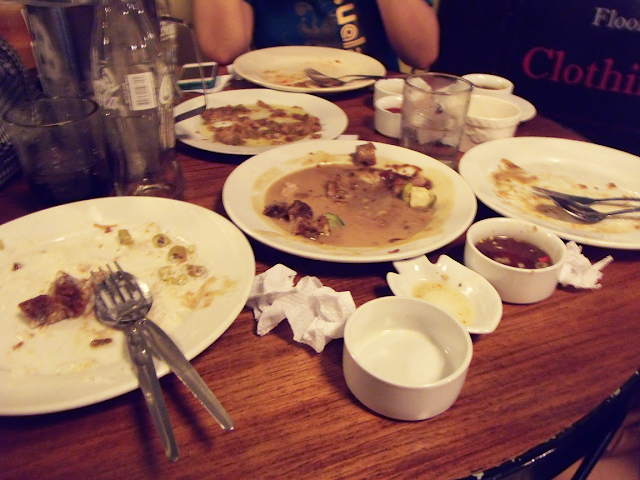 I never dared to try the Sisig Bagnet. Just by looking at it, I already feel my blood pressure shooting up. It was swimming in oil. The bagnet itself was just delicious. 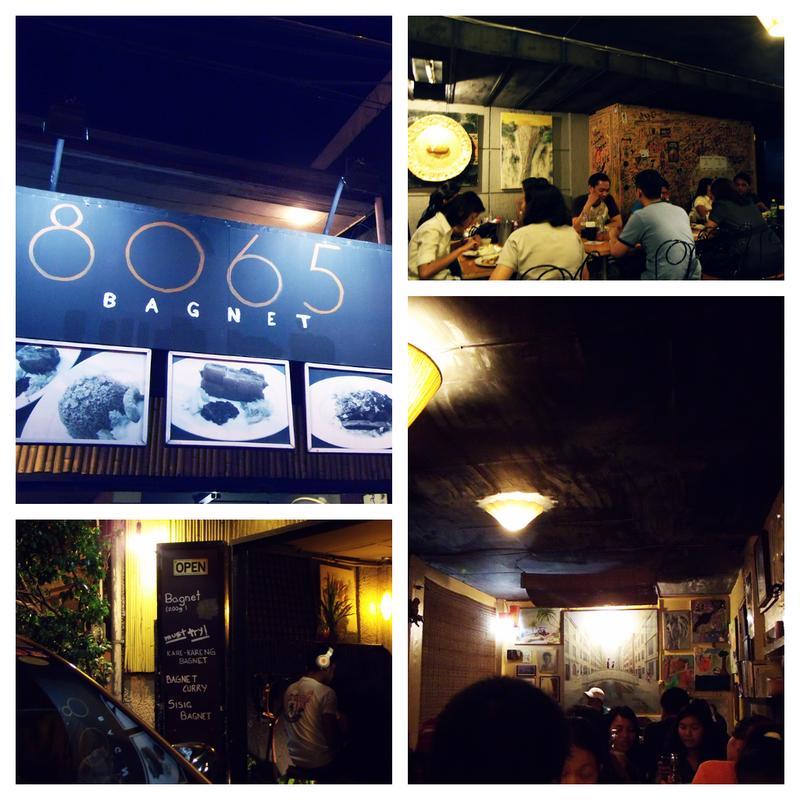 Even though I ordered bagnet in sauce, it was super crispy and yummy and everything I ever dreamed of. At least, I know that the meat is not mixed with the sauce prior to serving. I expected a for it to be a little more spicier, all I tasted was the sauce being sweet like that of Ginataang Bilo-Bilo. Hehe. 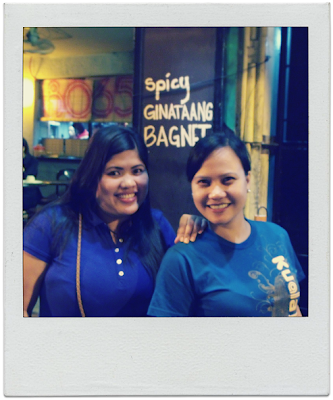 Same goes for the Kare-Kareng Bagnet, it was just like plain peanut butter sauce with a tiny hint of shrimp paste. 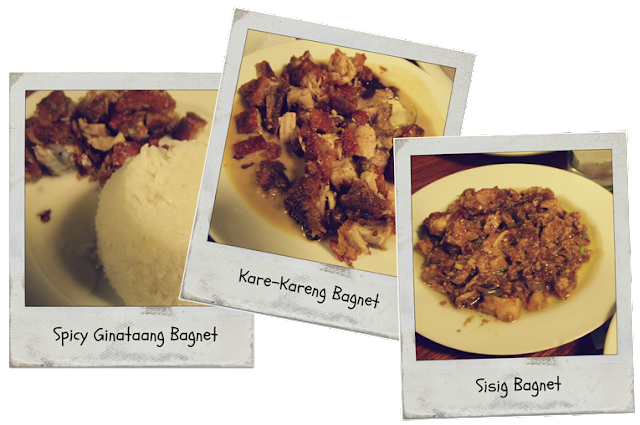 Next time, I will definitely order the Original Bagnet. 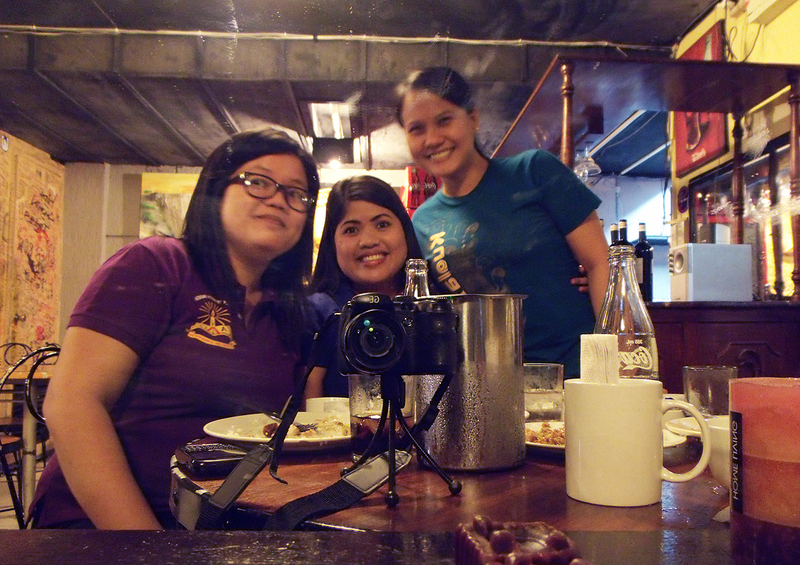 Aside from the food, I was also looking forward to the company of my two good friends. There was a lot of laughter. And more laughter as the night went through. There's something wrong with my hair. Group picture: Thank you, timer! Well, in the end, it all boils down to this. More than anything else, I would definitely be coming back for the food! There's a whole lot I haven't tried yet from their menu. We were so full afterwards and I already miss the crisp and crunch of the bagnet. I would definitely recommend it to people who would like to try something new (food-wise and ambience-wise) and would just like to pig out with their friends. 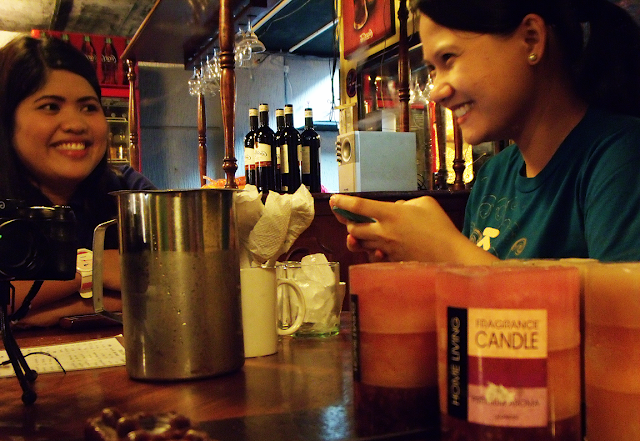 They do serve beer/Tanduay Ice and the place does have a smoking area, if that's what you're wondering. 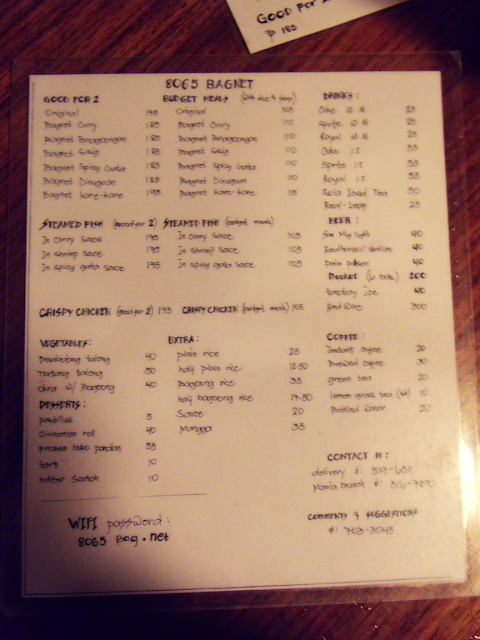 For everyone's reference, here's the menu. Just zoom in, will ya?